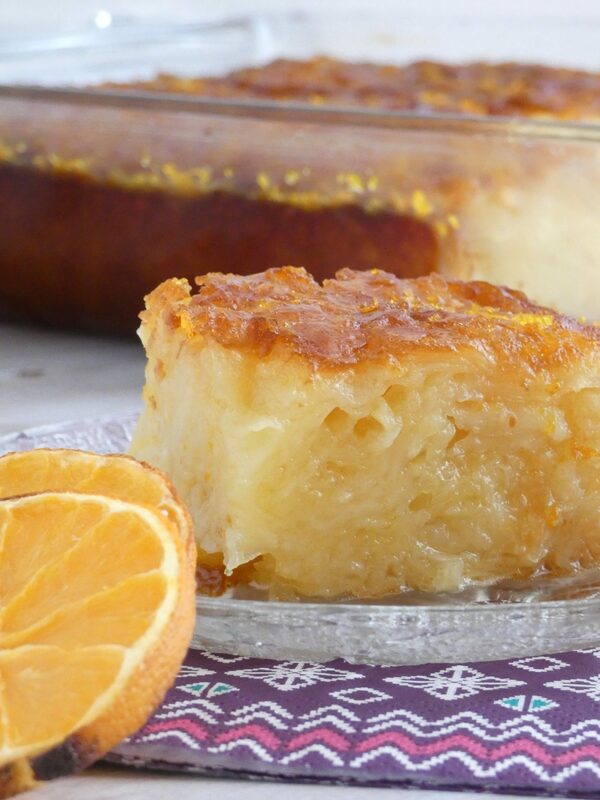 Portokalopita is a dessert that the last 15 years is very popular in Greece. I don’t know exactly the origin of this superb cake but if you taste it once there is no going back. Trust me on that. 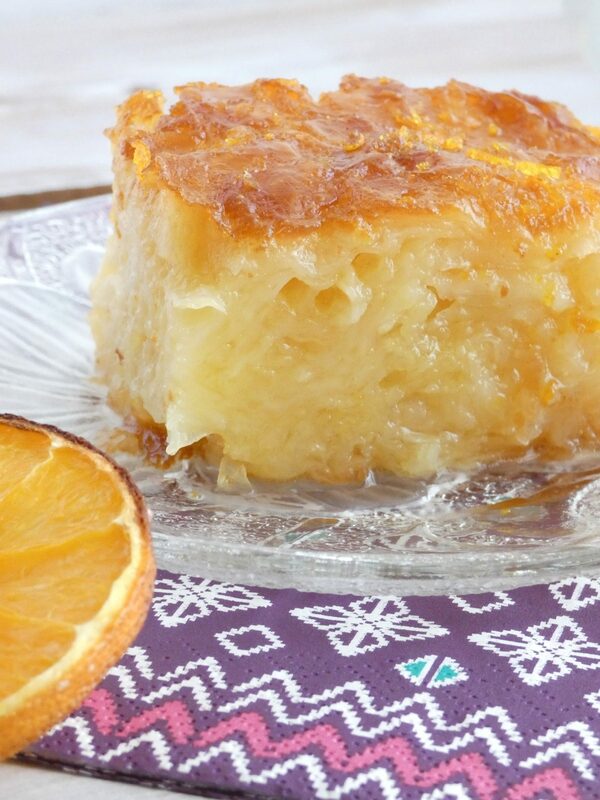 The name “portokalopita” is a compound word from the “portokali” which is the orange in Greek and the “pita” which is the Greek word for the pie. 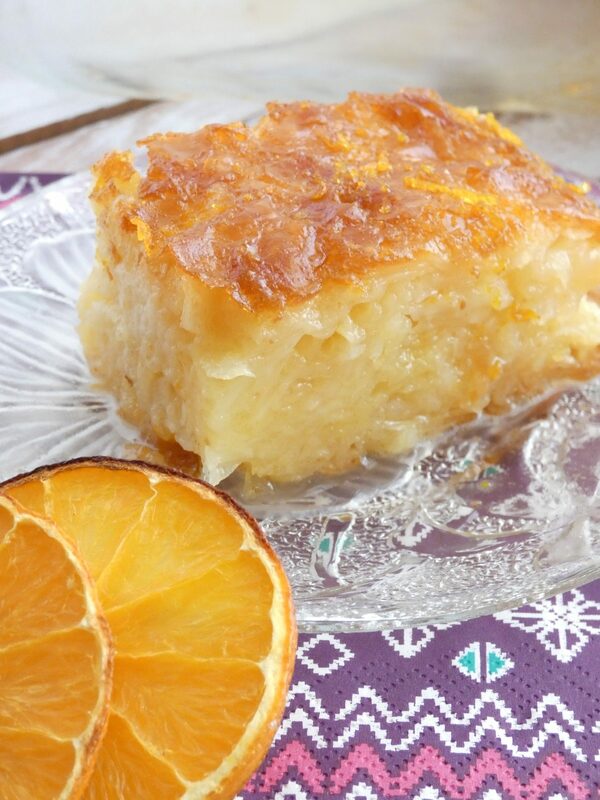 So it is an orange pie and more specifically it is an orange cake with yogurt, phyllo dough and syrup. It is an unusual dessert I must say. 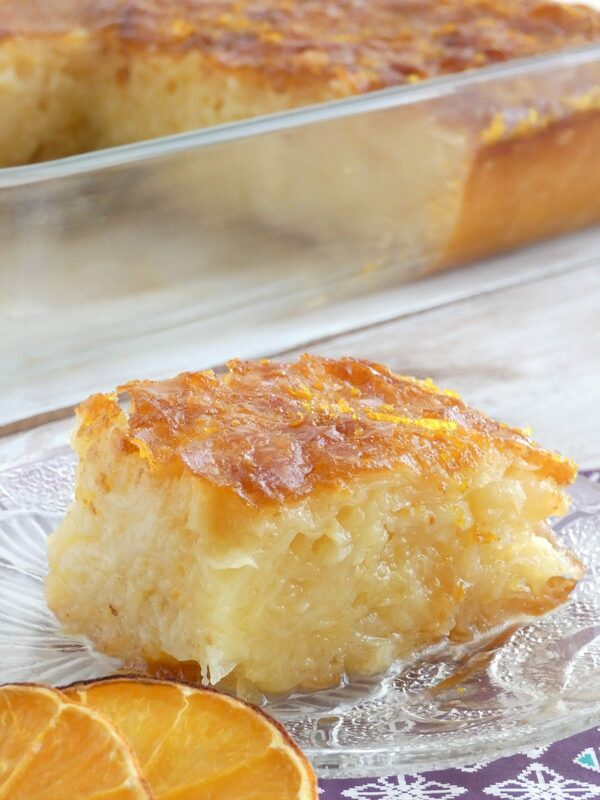 It reminds me of bread pudding but instead of bread or brioche we use phyllo dough. If you have visited Greece as a tourist I am sure that you have tasted it. 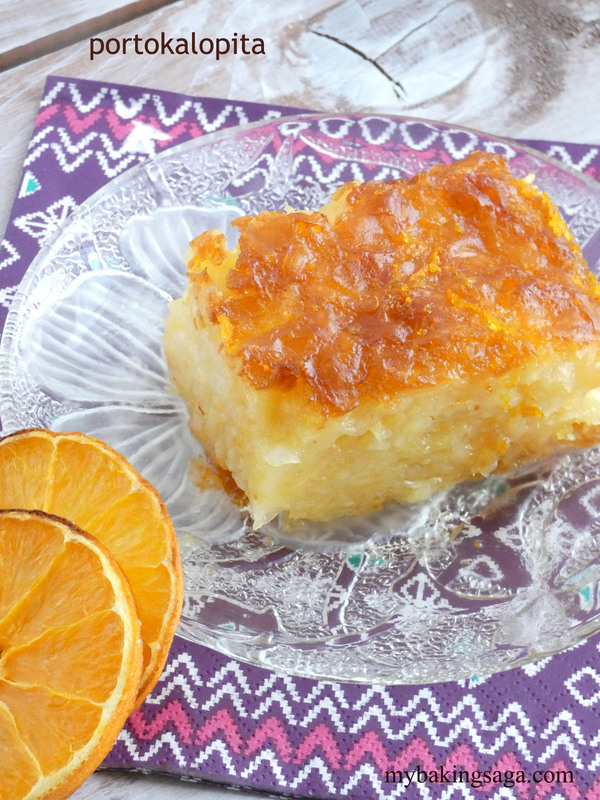 The base is a custard flavored with orange zest (it needs no cooking) in which we mix the dried phyllo cut into pieces. Drying the phyllo is the part of the recipe that takes a little time and it is the most important one. Separate the sheets of the dough, place them on a large surface (I use my bed) and let them dry for an hour or two. Time of drying depends of the temperature and the humidity so it may varies. It may take a lot longer or less time. The rest is just ready in 5 minutes. 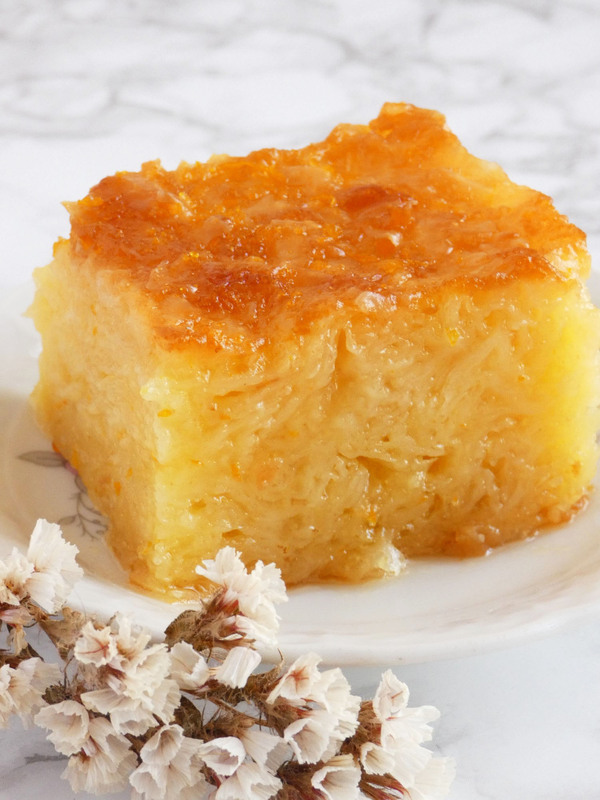 If the phyllo don’t dry well enough the pieces of it may stick together when mixed in the custard and this is something we don’t want to happen because there will be lumps in the cake. It is very important when mixing in the phyllo to try so all the pieces of it is separated (if and when this is possible, don’t stay all day to do that) and wet with the custard. Let the mixture stay for about 10 minutes, so the pieces of the phyllo be soaked and then pour it in a baking pan and bake it. This is the key for a successful portokalopita.Well dried and well soaked phyllo. The next step is a syrup flavored also with orange zest. It must be prepared before you bake the cake so it will be cooled when the cake is ready. The cake must be hot, just out of the oven when you pour the cooled syrup over it. Let it cool and put it in the refrigerator. 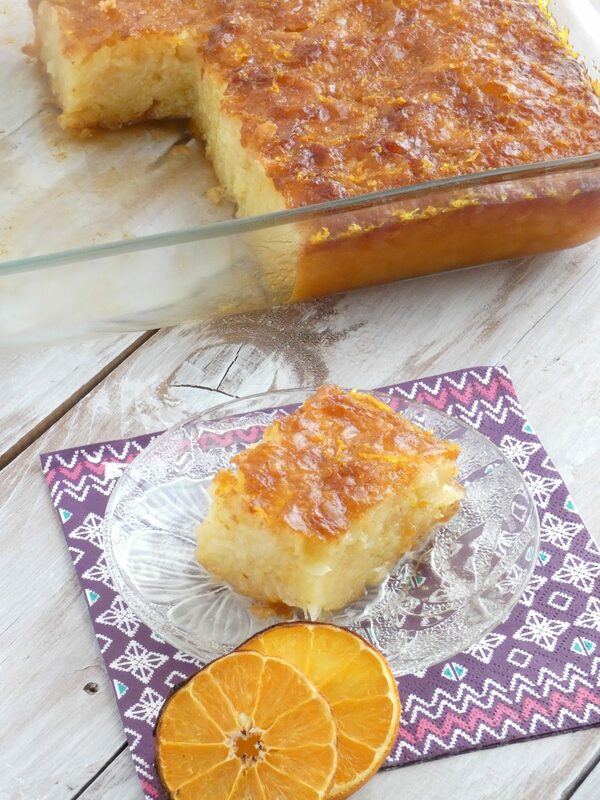 This dessert is best eaten the next day and after being in the fridge for at least one night. 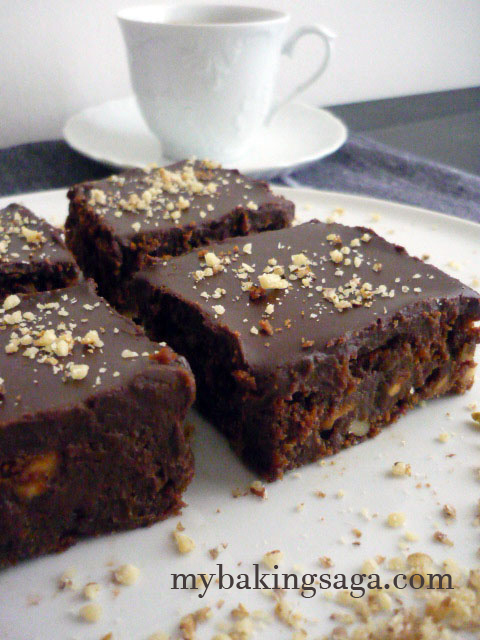 It is easy, it is heavenly tasty, it is a cake for every occasion. For a gathering with friends, for a celebration, for a gift, for a sweet morning or night. Enjoy!! The first thing is to prepare the syrup. 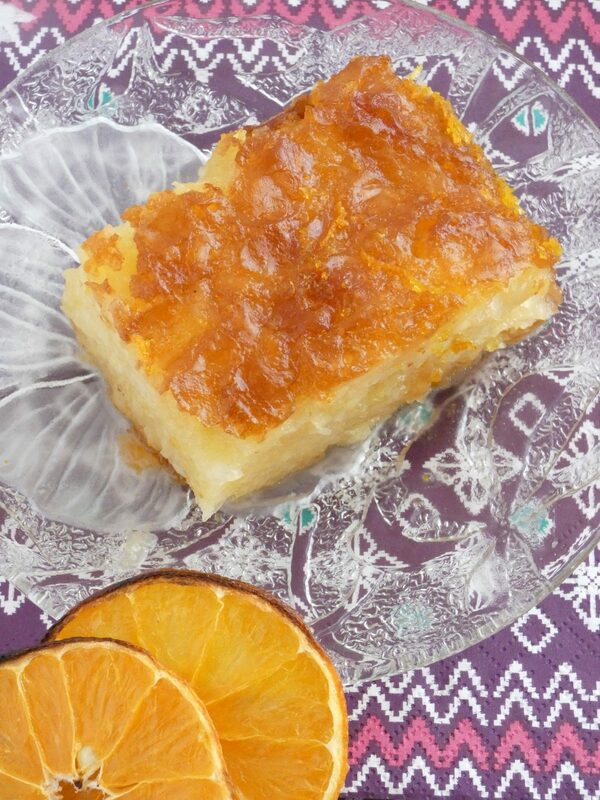 Put sugar, water and orange zest in a pan and bring to a boil. Cook for 5 minutes (counting from the point that syrup starts boiling). Preheat the oven at 175° C.
In a large bowl whisk corn oil and sugar until well combined. Add the eggs, the baking powder and the zest. Whisk again. Add the yogurt and the vanilla and mix until you get a smooth mixture. Mix in the phyllo cut into pieces, a little at a time. Be sure that is well mixed in before you add more. 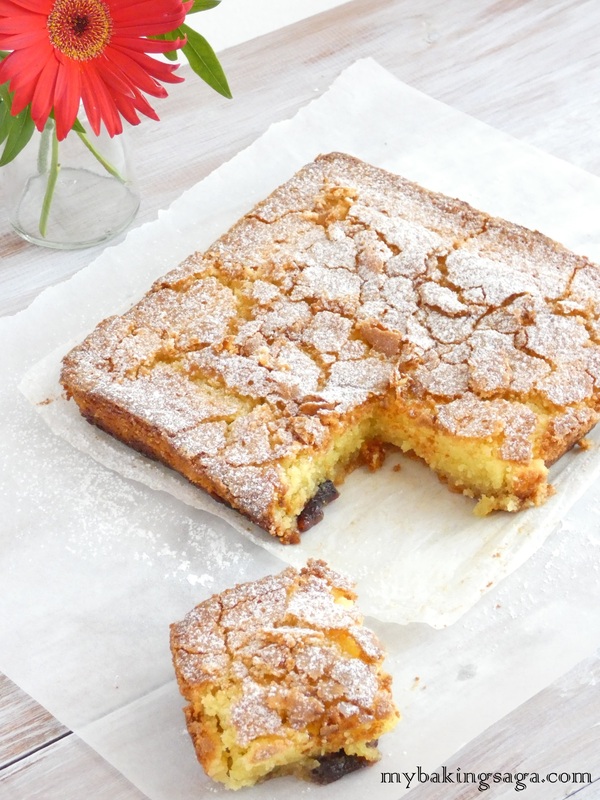 Pour the mixture into a greased baking pan 30x22 cm. Pour the cooled syrup over the hot cake one ladle at a time. After you have done this two or three times wait a little for the syrup to be absorbed in and then pour another two or three ladles of syrup and continue this way until the syrup is over. 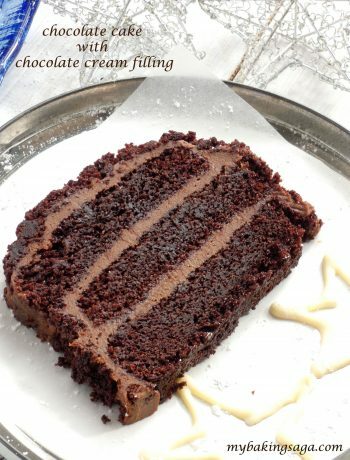 Let the cake cool at room temperature and then put it in the refrigerator. P.S I couldn’t resist uploading this new photo of a newly made portokalopita!!!!! Isn’t it beautiful?